I picked up Claire Messud’s The Woman Upstairs after seeing it at a beachside bookstore near my parents’ condo in Delaware. Despite where I purchased it, this book is definitely not what one could fairly label a “beach read.” It’s not light, or frothy, or inconsequential. It’s a book that makes you think, and makes you squirm. It’s suspenseful, despite being rather light on plot. It’s extremely well written. In other words, it’s well worth your time (even if you are reading it on the beach). The titular “woman upstairs” in the story is Nora Eldridge, a single woman in her late-thirties (when the story begins) who teaches third grade in Cambridge, Massachusetts. Nora’s life, when the story picks up, is consumed primarily by her duties as a teacher and daughter. She teaches, and when she’s not teaching, she’s visiting and taking care of her elderly father, who lives nearby. Although Nora went to art school, she’s long ago given up on pursuing art as a career, and instead makes art when she has time in the extra bedroom of her apartment. Everything changes for Nora, though, when a new student, Reza Shahid, enters her third grade classroom, and she soon becomes emotionally entangled with him and his family. The Shahids have just moved to Cambridge from Paris and are attractive, glamorous, and worldly. Reza is an adorable scamp with beautiful gray eyes. Reza’s father, Skandar, is an academic who specializes in the ethics of history, and his mother, Sirena, is a professional artist who makes large, fanciful installations. Nora finds herself charmed by Reza, attracted to Skandar, and drawn like a magnet to Sirena. As the school year progresses, Nora becomes more and more involved with the Shahids: she begins to share studio space with Sirena (and consequently resumes thinking of herself as a real artist), she babysits Reza, she goes on long, winding walks with Skandar. Nora’s involvement with the Shahids shapes every aspect of her life, and animates her days. During the year she spends in the Shahids’ presence, Nora is the happiest she’s ever been, and when they move back to Paris, she feels lost. And later, she discovers a deep betrayal by the Shahids that leads her to question everything about her relationship with them. The Woman Upstairs is interesting in that not a lot happens, plot-wise, but yet the story is hyper-engaging. This is a pretty neat trick for an author to pull off. Messud manages to build tension by layering small events on top of one another and diving deep into Nora’s inner thoughts and feelings as these seemingly mundane events unfold. Nora helps Sirena with her installation. She discusses Lebanese politics with Skandar. She tucks Reza into bed. On the surface, these might seem like commonplace interactions (albeit perhaps a bit inappropriate given that Nora is Reza’s teacher), but for Nora, these quotidien developments feel weighted with import. Messud builds Nora’s story in such a way that each interaction Nora shares with one of the Shahids contributes to a growing sense of unease, as we, the readers, wait for the other shoe to drop. And drop the other shoe does, quite spectacularly, late in the book. What makes this book compulsively readable is Messud’s handling of Nora’s tangle of emotions — infatuation, anger, envy, jealousy, sadness — as the story progresses. As the narrator, Nora offers us a kind of double perspective, since she’s telling her own story with several years’ remove on the events. That is, while she can still relay the intense emotions and desires she experienced during her year with the Shahids, it seems she can also offer occasional glimpses of hard, cold perspective on the matter. But it becomes clear as the story unfolds that Nora is still very much caught up in her year with the Shahids, even many years later (and there’s good reason for that, as we learn). Messud allows Nora to tell her story in such an intimate way that her revelations often become uncomfortable for the reader. We’re both wrapped up in Nora’s private psychodrama and are able to step outside of it and see, quite clearly, how disastrously things are going to end for her. This is probably why it didn’t bother me that I was able to spot the development that would later drive a wedge between Nora and the Shahids as soon as it happened. Overall, I highly recommend this book for those in the market for a masterfully written psychological drama. Check out what The New York Times had to say, too. 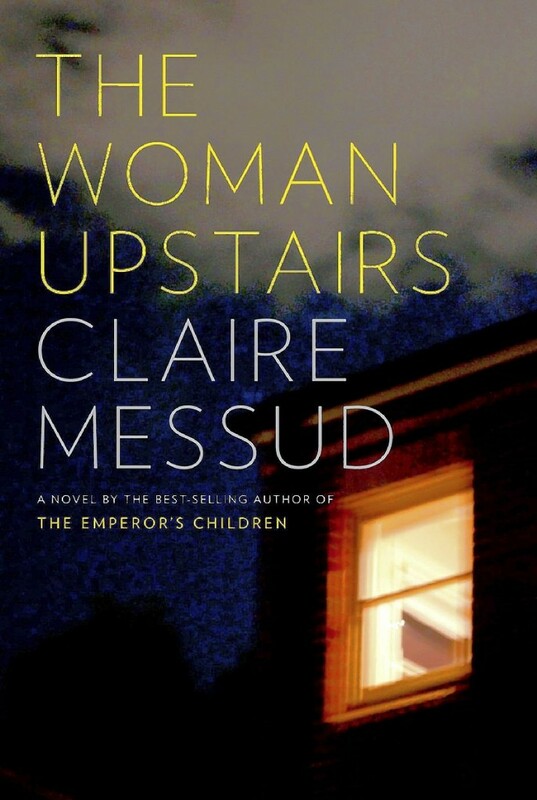 This entry was posted in Books and tagged books, Claire Messud, fiction, The Woman Upstairs on September 10, 2014 by Stephanie.